It’s another week of comics and pop culture news and reviews. Brian and Liam are back, a little more stuffed with Turkey and a little later than normal (due to the Canadian Thanksgiving holiday, this episode dropped on Tuesday October 13th). 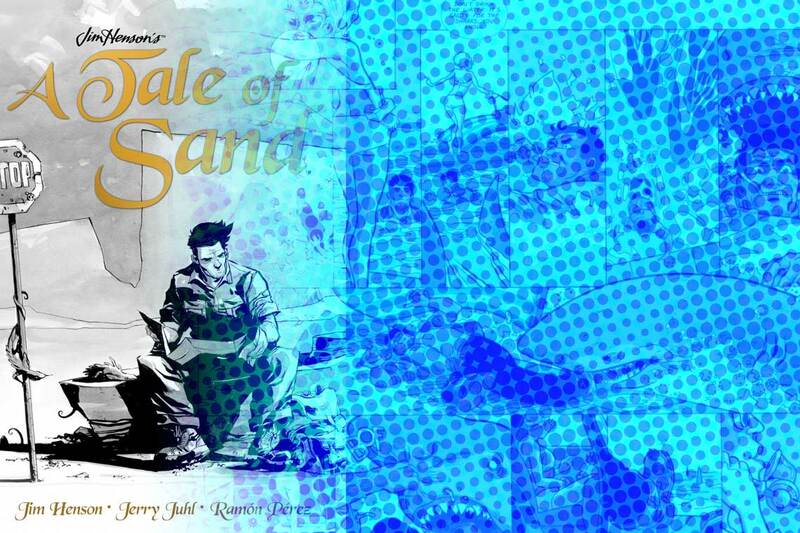 This week in addition to the usual comics of the week, Brian and Liam review the 2012 A Tale of Sand, and make some startling discoveries about the versions of the book that are available. Presented by All New Comics – All New Comics is your Online Comics Superstore, celebrating ten years in business, see them at the Forest City Comicon September 18th, or visit them online at allnewcomics.com. Liam chose Who Is Jake Ellis Volume 1 The multiple-sellout mini-series Newsarama calls “a modern noir package that is not to be missed” and MTV “couldn”t put down!” Jon Moore is a mercenary spy on the run, protected only by Jake Ellis, a man invisible to everyone except Jon. Batman & Robin Eternal #1, Cyborg #4, Secret Wars #6, We Stand On Guard #4, All New series for Invincible Iron Man, The Avengers, Amazing Spider-Man and Doctor Strange, but do you know what my favourite comic of the week was? Jughead #1 by Chip Zdarsky. It’s a great new take on the character, maybe I haven’t read an Archie comic in years, but everything seemed just a little bit fresher. Brian and Liam talked about A Tale of Sand, which is an unpublished Jim Henson and Jerry Jhul screenplay brilliantly illustrated by Ramon Perez as a lavish graphic novel. The book won several Eisner, and Harvey awards, as well as three Joe Shuster awards for Best Penciller/Inker or Penciller/Inker Team, Best Publication Design, and Best Graphic Album. During their discussion, they realized there were two different books that they had each bought. Liam purchased A Tale of Sand – The Illustrated Screenplay.